28 Dec Think You’ve Got Squirrels in Your SC Attic? What to Do and Not Do Before the Professionals Come. Squirrels might seem cute when they scurry up and down trees, but they’re not so cute when they take up residence in your SC home. These animals can cause significant damage to your home, and the noise they cause can become a source of stress for you. Before you call a Hilton Head exterminator to come to your home, keep the following information in mind. – Odd noises, such as scratching, gnawing or jumping. – Damage to your home’s exterior caused by squirrels chewing their way through fascia boards, roof shingles and other entry areas. – Damage to your attic’s interior, such as chewed wood or wiring. – Squirrel droppings inside your attic, which need to be removed carefully to prevent Salmonella and other diseases. 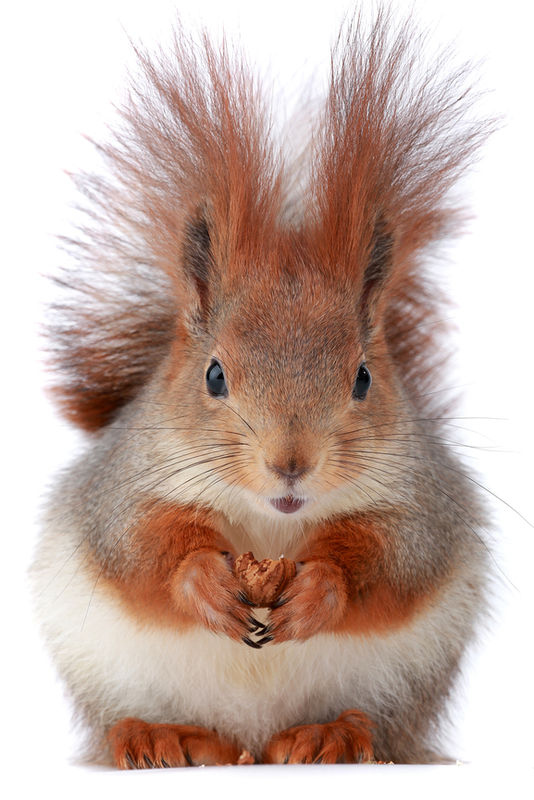 – Unpleasant odor in your home, which can occur if a squirrel is trapped and dies inside a wall cavity. If you have a family of squirrels living in your attic, it’s important to have a Hilton Head exterminator take care of eliminating them. Trying to do it on your own can be dangerous, especially if there are adult squirrels around trying to protect their young ones. You could also be exposed to harmful germs if you encounter squirrel urine or feces. Having a professional handle this task for you helps ensure that it’s done correctly and safely. Until a Hilton Head exterminator comes to your home, there’s not much you can do about squirrels in your attic. This is why it’s essential to get help as soon as you can if you have these critters in your home. Squirrels can cause fire hazards from chewing wires, and they can cause extensive damage to the wood frames in your home. They can also leave a mess that’s costly and difficult to clean up. When you discover that you have squirrels living in your home, you might be tempted to keep them out by sealing up the hole or gap they made to get inside. However, this isn’t a good idea for a couple of reasons. Closing these entry points could cause you to accidentally trap squirrels inside your walls, roof and attic with no way to get out. This can cause them to do even more damage to your home, or they might end up dying inside your walls. This can fill your home with a highly unpleasant odor that’s hard to get rid of. When you seal up gaps and holes that squirrels got in through, it can also cause them to become very angry when they come home and find that they can’t get back to their nest. They might cause more damage to your home as a result and create more holes and gaps as they chew their way back inside. This is especially true if you have adult squirrels that are trying to get back to babies or young ones in the nest. Instead of closing up entry points, wait for a Hilton Head exterminator to get to your home and inspect it. Your exterminator can determine if you have squirrels and use a safe method to get rid of them. This helps prevent additional damage to your home. Once the squirrels have been removed, you can close up the holes they came in through. If you think you have squirrels or other critters in your attic, please contact Island Pest Control to speak to a Hilton Head exterminator. Our technicians will do a thorough inspection and take steps to eliminate these pests from your home. We can also provide you with advice on reducing the risk of having squirrels get into your attic again.